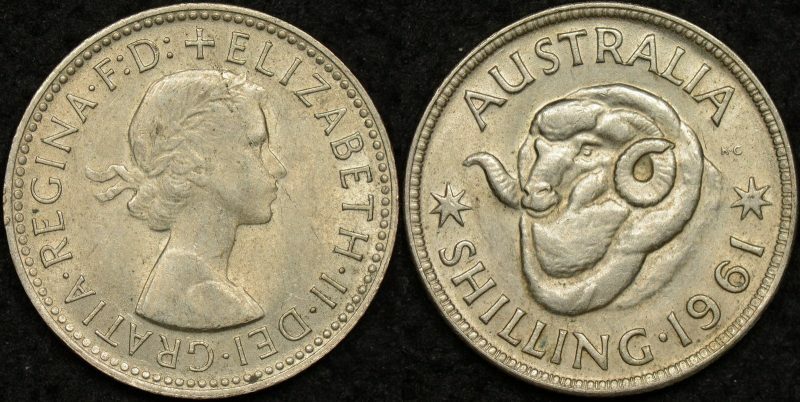 1961 shilling with bar in the wool reverse variety. 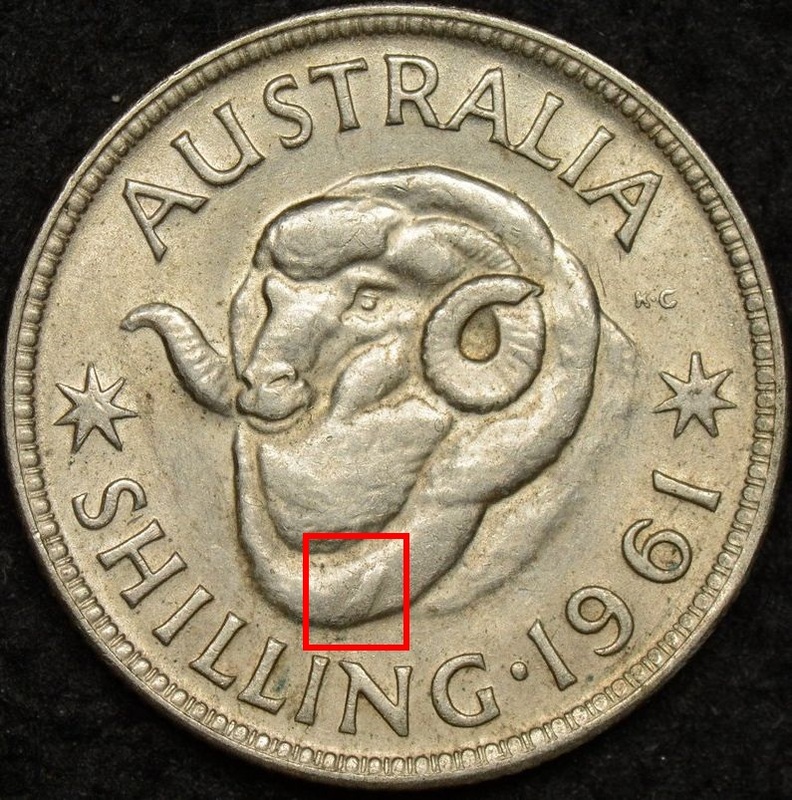 There have been quite a few variations of this bar found on 1961 shillings. Peter Andrews suggests this is a “look-alike” and not a true example (as pictured in Renniks catalogue) but I feel still very collectable as seen.